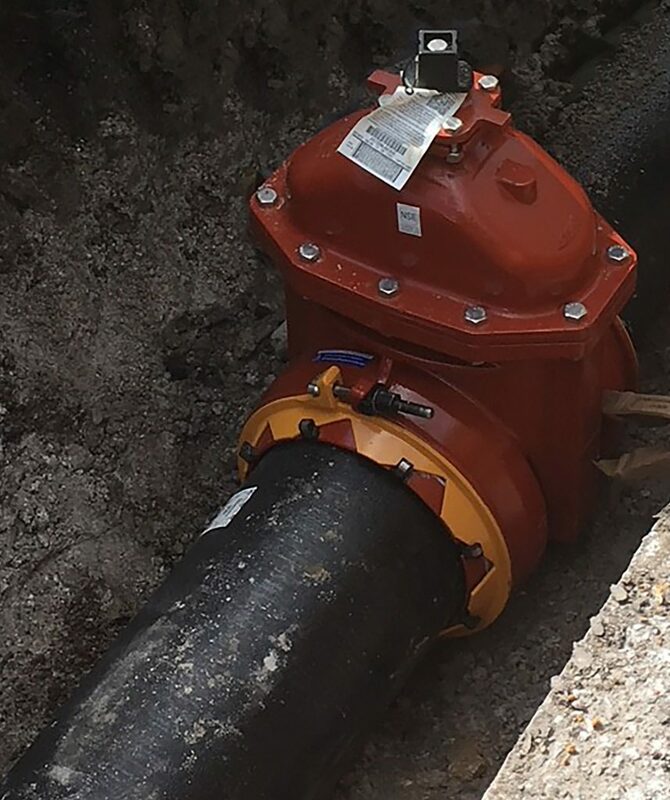 AMERICAN Flow Control’s resilient wedge gate valves with ALPHA restrained joint ends are used on a pipe replacement project for the city of Manning, South Carolina. ALPHA’s single-bolt design saves time and money. This article also appeared in Water Online. 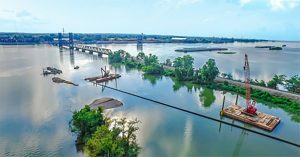 Project Summary: The estimated 100-year-old small diameter water mains coming westward out of Manning, South Carolina, were beginning to show their age. So when it was determined the South Carolina Department of Transportation would soon be resurfacing SC Highway 261, the city knew it was the optimal time to replace these aging smaller mains. The mains serviced the Clarendon County Courthouse, City Hall, the elementary, middle and high schools and about 60 businesses along SC Highway 261. With the help of Hybrid Engineering, Inc., the city was able to secure a $500,000 grant from the SC Rural Infrastructure Authority in 2017. Construction began in August and was completed in November. 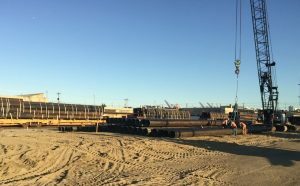 The project involved the replacement of about 3,200 feet of 4- and 6-inch water mains with 12-inch ductile iron pipe with a smooth and permanent cement lining. Benefits of this project include increased water pressure, additional fire protection and improved system reliability. The project also included the installation of several AMERICAN Flow Control resilient wedge gate valves with ALPHA™ restrained joint ends. Key Players: The city of Manning serves about 3,500 customers and supplies about one million gallons of water to its customers each day through its 90 miles of pipelines. The engineer for the Highway 261 project was Hybrid Engineering, Inc. of Columbia, South Carolina. The contractor was CBG, Inc. in Gaston, South Carolina. Ferguson Waterworks in Elgin, South Carolina, served as distributor. 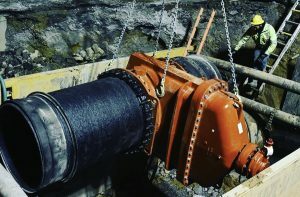 What They Used: Fifteen AMERICAN Flow Control 12-inch and seven 6-inch series 2500 resilient wedge gate valves with ALPHA restrained joint ends, and about 2,700 feet of 12-inch and 450 feet of 6-inch AMERICAN Ductile Iron Pipe.